La Pergola manages to combine typical fancy hotel opulence with down-to-earth character and user-friendliness. 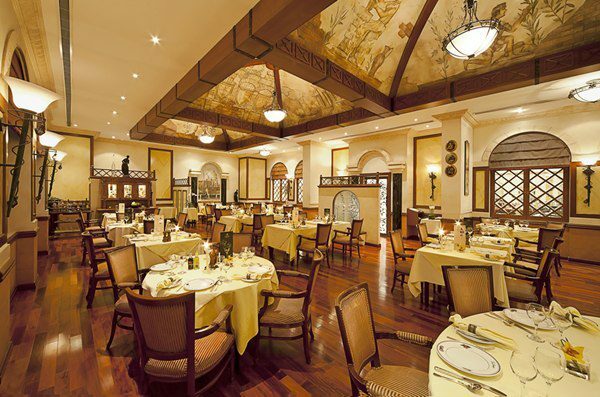 This duality of feeling carries over into its Italian restaurant, La Pergola, the Grande dame of Italian cuisine in Bahrain, now in its third decade of business. You’ve got your rather old-fashioned, themed-restaurant elegance, with classical-style murals running up the walls and across the domed ceiling, and then you’ve got your reliable, accessible menu. It’s not hip and it’s not deigning to compete with the spate of ultra-trendy, more Mediterranean-style Italian restaurants that have sprung up recently. It is what it is, and it seems to be working for them.